Neoadjuvant chemotherapy (NAC): the expected benefits must be real! Several clinical benefits are expected from NAC: lesser extent of surgery, better long-term control of the disease, gaining prognostic information. The only proven patient benefit, however, is to increase the rate of subsequent breast conservation. To ensure that conserving surgery is feasible and to avoid axillary clearance if possible, thorough initial and on-treatment evaluation of disease extent is essential. The patient’s genetic background should be informed. The need for chemotherapy must be certain (use of gene profiling?) and the magnitude of response realistic (avoid luminal A or lobular subtypes). What do we currently know about NAC? In terms of survival and disease progression, NAC has been found equivalent to adjuvant chemotherapy (Mauri et al. 2005). Regarding tumour response, the effect of NAC is heterogeneous across cancer subtypes. The effect is major and includes nodal downstaging in HER2-positive and triple negative cancers (ie, ≥ 50% and 40-50% of pathologic complete response (pCR), respectively) but limited in breast and nodes in luminal (ER+ HER2-negative) cancers (ie, 10-15% pCR). A recent meta-analysis showed a differential association between pCR and event-free survival (EFS) among cancer subtypes with highest prognostic value in aggressive tumours, but could not validate pCR as a surrogate for improved survival in the overall study population (Cortazar et al. 2014). In the HER2+ subtype, there is evidence suggesting that pCR might, however, be a surrogate endpoint for survival, with best outcome occurring in hormone receptor (HR)-negative tumours with breast and node complete response (Gianni et al. 2016). What are the therapeutic prospects? Regarding the issue of response-guided treatment data are, as yet, still investigational. In the exploratory GeparTrio trial, longer disease-free survival (with marginal benefit in overall survival) was found when switching early HR-positive “non-responders” by clinical and conventional imaging evaluation to a different chemotherapy regimen (von Minckwitz et al. 2013). The AVATAXHER trial, a phase 2 study, was conducted in HER2+ breast cancer patients with [18F]-FDG PET assessment of response after one cycle of chemotherapy (Coudert et al. 2014). In patients deemed unlikely by PET to respond to standard docetaxel plus trastuzumab therapy, the addition of bevacizumab increased the rate of pCR (43.8%) compared with findings in the standard arm (pCR 24%). However, several clinical issues such as unknown survival benefit, use of suboptimal therapy, finding of discordant results with bevacizumab in other breast cancer studies, prevented further application of this imaging-guided therapy explains Dr. Delaloge. An area of research is to use residual disease for its prognostic and potentially predictive value of response to (adjuvant) therapy targeted on the tumour biomarkers. Residual disease could contain resistant clones, eventually causing metastatic recurrence and death. Advanced genome sequencing would allow identifying these “lethal clones”, hence eradicating them through treatments targeted on specific genomic alterations. Furthermore, surveillance targeted on circulating tumour DNA could permit early detection of relapse. Two other concepts are currently being investigated to 1) identify new effective therapies, 2) search for predictive biomarkers and 3) obtain early assessment of response. One uses a therapeutic “windowof-opportunity” design where patients receive an investigational agent for a short time prior to NAC. Biologic effects of the agent are assessed by molecular analysis or functional imaging (currently, PET imaging). The second concept uses an adaptive design allowing for rapid testing of multiple new agents in combination with standard chemotherapy. The I-SPY 2 trial is such a phase 2 trial, where early Bayesian estimation of pCR, histologically validated at the end of the study, is used to adapt ongoing patient randomisation to investigational arms (Park et al. 2016). The MR imaging component of the trial (ACRIN 6657) showed the better performance of tumour volume change over clinical size predictors for early response assessment (Hylton et al. 2012), and the predictive value of the quantitative “functional tumour volume” parameter regarding recurrence-free survival with a median follow-up time of 3.9 years (Hylton et al. 2016). For luminal cancers, a new paradigm could be to replace chemotherapy by endocrine therapy with good clinical results and lesser toxicity. The NEOPAL trial (clinicaltrials.gov/ct2/show/NCT02400567) addresses this issue of a possible therapeutic de-escalation in luminal tumours by comparing conventional chemotherapy with an association of endocrine and targeted therapy. To decide which of primary systemic or surgical treatment is best for each patient, multidisciplinary team discussion is crucial. The decision is based on assessment of the initial breast and axilla tumour burden, where imaging is most contributive, and on tumour biology. The expected benefits from current neoadjuvant treatments are to perform less axillary surgery along with defining more personalised therapy based on the individual clinical prognosis and on tumour sensitivity. Both issues are of research in imaging with functional and quantitative analyses. Pathological complete response (pCR) has been proposed as a surrogate endpoint for prediction of long-term clinical benefit—event-free survival (EFS) and overall survival (OS). After neoadjuvant chemotherapy the pathologist examines the surgical specimen in order to define pCR and to bank residual tumour tissues for molecular analysis. To perform these analyses, cooperation between surgeons, radiologists and pathologists is essential, emphasised Dr. Salomon. Molecular classification is based on immunohistochemistry (IHC) (Figure 1). There is no consensus definition of pCR and different definitions have been used in major neoadjuvant trials. For example, some trials used a definition of pCR where DCIS is present, while others did not (Provenzano et al. 2015). An international working group has proposed the elements to be included in the pathologic evaluation and reporting of post-neoadjuvant systemic therapy breast cancer specimens (Provenzano et al. 2015). Cortazar and colleagues (2014), in their pooled analysis of more than 11,000 patients, looked at the association between three definitions of pCR and eventfree and overall survival by breast cancer subtype. They found the highest EFS and OS when pCR was defined as ypT0/Tis/ypN0 in the American Joint Committee on Cancer (AJCC) staging system. In breast cancers that were grade 3, HER2+ and ER- PR- or triple negative they found a marked difference in survival between cases with pCR and those without pCR. Yp TNM should be included (Provenzano et al. 2015). Symmans et al. (2007) recommended that tumour size, percentage of residual cells (both DCIS and invasive cells), the number of metastatic nodes, and size of the lymph node metastasis (ypN+) should be used to calculate the residual cancer burden. Correlation with the radiological image is essential for macroscopic analysis of the surgical specimen if there is no apparent residual tumour. Here the coil is important as is sampling oriented by the radiological size evaluation after chemotherapy (Figure 2). Pooled analyses (at a trial level) could not validate pCR as a surrogate marker of EFS and OS (Berruti et al. 2014; Cortazar et al. 2014). There is a need for other prognostic markers determined on residual disease after chemotherapy. Biomarkers under development have recently been reviewed (Penault-Llorca and Radosevic-Robin 2016). Genomic analysis also shows potential (Gu and Fuqua 2016). In assessing efficacy of NAC predictive parameters are important, namely the histological type and ER, PR, HER2, Ki67 to define molecular classes of breast cancer. The residual cancer burden method is the recommended standardised method: pCR = ypT0/Tis ypN0. pCR is a favourable prognostic marker at the individual level and its prognostic value is greatest in aggressive subtypes of breast cancer. However, pooled analyses at a trial level could not validate pCR as a surrogate marker of EFS and OS. Other biomarkers are needed to define prognosis after neoadjuvant chemotherapy. Women who receive NAC are imaged with MRI before, during and after treatment. Before treatment the baseline MRI scan assesses the morphology and extent of the breast cancer. During treatment MRI scans are performed to monitor early response to NAC and to predict non-responders. After treatment the MRI scan is conducted to inform surgical planning, to predict residual disease or pathologic complete response (pCR) and to predict relapse-free survival (RFS) and overall survival (OS). MRI is around 74% accurate at predicting residual disease (Chen et al. 2008; de los Santos 2013). However, accuracy is variable, and it depends on the definition of pCR (Marinovich et al. 2013a). MRI has been shown to underestimate and to overestimate the size of tumours that respond to chemotherapy (Chen and Su 2013; Marinovich et al. 2013b). Nevertheless it is superior to ultrasound (US), mammography (MG) and clinical examination for this purpose (Orel 2008; Marinovich et al. 2015). MRI is most accurate at discerning breast cancer mass - the clear tumour boundary and any concentric shrinkage. MRI is less accurate at discerning nonmass breast cancers— invasive lobular carcinoma, and tumours with extensive ductal carcinoma in situ (DCIS) component (Chen et al. 2008; Bahri et al. 2009; Mukhtar et al. 2013; Vriens et al. 2016). Three MRI phenotypes have been identified (Figure 1); phenotypes 2 and 3 are the most common. Triple-negative breast cancer is more often phenotype 1 and 2. Hormone receptor positive (HR+) cancers are more often diffuse (phenotypes 3, 4 and 5). MRI images show higher concordance with tumour size in triple-negative breast cancers (Mukhtar et al. 2013). In radiology complete response does not equal pathological complete response (pCR). Radiological complete response could be defined as complete absence of pathological contrast enhancement in the original tumour bed on MRI after NAC (Loo et al. 2016). MRI had the greatest negative predictive value (NPV) for triple negative and HER2+ tumours (Boughey et al. 2014; de Los Santos et al. 2013; Fukuda et al. 2016). MRI assessment for complete remission has been shown to underestimate residual tumour by around 40% according to type of NAC regimen (eg, Denis et al. 2004). The issues are that there may be multiple small foci ( <5mm) and contrast enhancement too weak in these studies. After treatment the aim of imaging is to predict outcome—RFS/OS. Outcomes after NAC are similar to patients treated with adjuvant chemotherapy (Rastogi et al. 2008; van der Hage et al. 2001; Kuerer et al. 1999). Patients who show pCR have better survival outcome (Rastogi et al. 2008; Kuerer et al. 1999). Thus pCR is used as a surrogate endpoint for disease-free survival (DFS) and overall survival (OS), but there is no standardised definition of pCR and it is variable in different breast cancer subtypes (von Minckwitz et al. 2012). pCR is not suitable as a surrogate endpoint for patients with luminal A (ER-positive HER2-negative, grade 1-2) tumours. A pooled analysis could not validate pCR as a surrogate endpoint for improved event free and overall survival (Cortazar et al. 2014). Several trials have assessed the predictive value of MRI for RFS/OS. The multicentre ACRIN6657/I-SPY trial found that MR imaging tumour volume measurements were better than clinical assessment (Hylton et al. 2012). Other trials have investigated dynamic contrast-enhanced MRI imaging parameters as well as prognostic factors such as changes in tumour size and transfer constant (Ktrans) (Li et al. 2011; Pickles et al. 2009; Ah-See et al. 2008; Yu et al. 2007), concluding that some can predict final clinical and pathologic tumour response. Partridge et al. (2005) found that initial tumour volume rather than tumour diameter was more predictive of RFS after NAC. A multicentre study that analysed 162 breast cancer cases for functional tumour volume (FTV) and RFS found that FTV is a strong predictor of RFS (stronger than pCR), and that FTV during and after NAC is predictive of RFS (Hylton et al. 2016). The strongest predictive performance was found to be that combining MRI (FTV), histopathology (pCR) and breast cancer subtype (HR/HER2). Choi et al. (2016) showed that background parenchymal enhancement (BPE) of the contralateral breast is associated with outcome, in a retrospective study of 93 cases. In a multivariate analysis, they showed that high BPE on pre NAC MRI and Triple negative breast cancer is independently associated with worse RFS. A study from the Netherlands Cancer Institute (Loo et al. 2016) evaluated in 272 women whether response evaluation by MRI is associated with RFS after NAC in ER+ HER2- (luminal) breast cancer. The results showed that a complete response at MRI after NAC in ER+ breast cancer is associated with an excellent prognosis. MR imaging helps to show differences in treatment response among breast cancer subtypes. This may lead to tailored imaging approaches with improved predictive performance, says Dr. Loo. However, the predictive performance of MRI differs among breast cancer subtypes. MRI is most accurate when imaging breast cancers that have mass lesions, are triple-negative and HER2+. Breast conservation is not improving despite better pCR rates ... Why? In prospective randomised trials in the neoadjuvant setting, Taxane-based (Bear et al. 2003) and HER2 targeted therapies with dual blockade (Baselga et al. 2012; Guarneri et al. 2012) have resulted in a marked (up to twofold) increase in pathologic complete response (pCR) rates compared with the reference arms. However, this did not translate into higher rates of breast-conserving surgery in down-staged patients after chemotherapy (Bear et al. 2003; Baselga et al. 2012; Guarneri et al. 2012). Several factors may have contributed to this situation, one of these being that surgical treatment of the breast after chemotherapy largely relies on retrospective analyses, although sometimes of prospectively recorded data. As a result of this lack of high level evidence, little to no consensus exists on a number of surgical issues. Taken altogether, this may have led to insecurities for breast preservation both on the patient and the physician side, suggests Prof. Dubsky. Is resection in the new margins adjusted for response after NAC a safe surgical procedure? 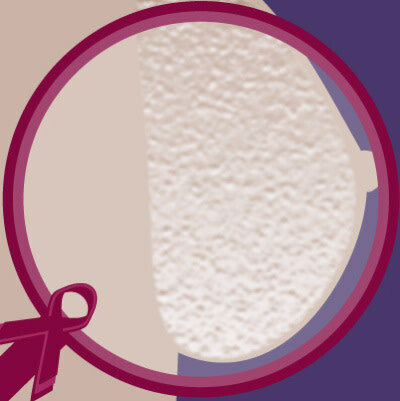 The long-term follow-up of several large cohorts provides evidence for the safety of breast conservation in the neoadjuvant setting, where no subgroup (including patients with multifocal or multicentric disease) can be precluded from breast-conserving surgery (BCS) if clear margins are obtained. Trials comparing locoregional recurrence (LR) rates in patients undergoing BCS after NAC versus initial BCS followed by chemotherapy have shown no significant differences after adjustment for age and initial stage (Wolmark et al. 2001; van der Hage et al. 2001; Mittendorf et al. 2013). In the MD Anderson Cancer Center cohort (Mittendorf et al. 2013), factors for LR were pejorative clinico-pathologic factors, multifocal residual disease on pathology, and close (< 2mm) or positive margins. Similarly, the German Breast Group neoadjuvant trials (Ataseven et al. 2015) showed that breast conservation was feasible for initial multifocal or multicentric disease at the condition of tumour-free margins or pathologic complete response. Based on all these results, Pr. Dubsky has suggested that: no tumour on ink and in case of close (<2mm) margins and multifocal residual disease, reexcision should be considered. Furthermore, resection within new margins, which will allow preservation of breast tissue, appears as a major goal of surgery after NAC. First of all, the optimal surgical plan relies on optimal interdisciplinary communication stressed Prof. Dubsky, referring to the triple task of diagnostic, response and intraoperative assessment. The role of breast imaging and image-guided procedures is essential. Radiohistologic documentation and marking of the initial tumour site are key steps. Regarding response evaluation, the accuracy of MRI has been shown to vary largely upon factors such as tumour subtype, initial morphologic presentation and pattern of response. While effective for assessing triple-negative and HER2-positive tumours, MRI has low accuracy in determining residual oestrogen receptor-positive disease (Loo et al. 2011). Hence, the contribution of MRI for delineating residual disease and help obtain clear margins should preferably be addressed clinically through radiosurgical discussion of individual cases, and for further scientific evidence through joint elaboration of trial protocols. Ah-See ML, Makris A, Taylor NJ et al. (2008) Early changes in functional dynamic magnetic resonance imaging predict for pathologic response to neoadjuvant chemotherapy in primary breast cancer. Clin Cancer Res, 14(20): 6580-9. Ataseven B, Lederer B, Blohmer JU et al. (2015) Impact of multifocal or multicentric disease on surgery and locoregional, distant and overall survival of 6,134 breast cancer patients treated with neoadjuvant chemotherapy. Ann Surg Oncol, 22(4): 1118-27. Bahri S, Chen JH, Mehta RS et al. (2009) Residual breast cancer diagnosed by MRI in patients receiving neoadjuvant chemotherapy with and without bevacizumab. Ann Surg Oncol, 16(6): 1619-28. Baselga J, Bradbury I, Eidtmann H et al. (2012) Lapatinib with trastuzumab for HER2-positive early breast cancer (NeoALTTO): a randomised, open-label, multicentre, phase 3 trial. Lancet, 379(9816): 633–40. Bear HD, Anderson S, Brown A et al. (2003) The effect on tumor response of adding sequential preoperative docetaxel to preoperative doxorubicin and cyclophosphamide: preliminary results from National Surgical Adjuvant Breast and Bowel Project Protocol B 27. J Clin Oncol, 21: 4165–74. Berruti A, Amoroso V, Gallo F et al. (2014) Pathologic complete response as a potential surrogate for the clinical outcome in patients with breast cancer after neoadjuvant therapy: a meta-regression of 29 randomized prospective studies. J Clin Oncol, 32(34): 3883-91. Blows FM, Driver KE, Schmidt MK et al. (2010) Subtyping of breast cancer by immunohistochemistry to investigate a relationship between subtype and short and long term survival: a collaborative analysis of data for 10,159 cases from 12 studies. PLoS Med, 7(5): e1000279. Boughey JC, McCall LM, Ballman KV et al. (2014) Tumor biology correlates with rates of breast-conserving surgery and pathologic complete response after neoadjuvant chemotherapy for breast cancer: findings from the ACOSOG Z1071 (Alliance) Prospective Multicenter Clinical Trial. Ann Surg, 260(4): 608-16. Cheang MC, Chia SK, Voduc D et al. (2009) Ki67 index, HER2 status, and prognosis of patients with luminal B breast cancer. J Natl Cancer Inst, 101(10): 736-50. Cheang MC, Voduc D, Bajdik C et al. (2008) Basal-like breast cancer defined by five biomarkers has superior prognostic value than triple-negative phenotype. Clin Cancer Res, 14(5): 1368-76. Chen JH, Feig B, Agrawal G et al. (2008) MRI evaluation of pathologically complete response and residual tumors in breast cancer after neoadjuvant chemotherapy. Cancer, 112(1): 17-26. Chen JH, Su MY (2013) Clinical application of magnetic resonance imaging in management of breast cancer patients receiving neoadjuvant chemotherapy. Biomed Res Int, 2013: 348167. Choi JS, Ko ES, Ko EY et al. (2016) Background parenchymal enhancement on preoperative magnetic resonance imaging: association with recurrence-free survival in breast cancer patients treated with neoadjuvant chemotherapy. Medicine (Baltimore), 95(9):e3000. Cirqueira MB, Moreira MA, Soares LR et al. (2015) Effect of Ki-67 on immunohistochemical classification of Luminal A to Luminal B subtypes of breast carcinoma. Breast J, 21(5): 465-72. Cortazar P, Zhang L, Untch M et al. (2014) Pathological complete response and long-term clinical benefit in breast cancer: the CTNeoBC pooled analysis. Lancet, 384(9938): 164-72. Coudert B, Pierga JY, Mouret-Reynier MA, Kerrou K et al. (2014) Use of [(18)F]-FDG PET to predict response to neoadjuvant trastuzumab and docetaxel in patients with HER2-positive breast cancer, and addition of bevacizumab to neoadjuvant trastuzumab and docetaxel in [(18)F]-FDG PET-predicted non-responders (AVATAXHER): an open-label, randomised phase 2 trial. Lancet Oncol, 15: 1493-502. De Los Santos JF, Cantor A, Amos KD t al. (2013) Magnetic resonance imaging as a predictor of pathologic response in patients treated with neoadjuvant systemic treatment for operable breast cancer. Translational Breast Cancer Research Consortium trial 017.Cancer, 119(10): 1776-83. Denis F, Desbiez-Bourcier AV, Chapiron C et al. (2004) Contrast enhanced magnetic resonance imaging underestimates residual disease following neoadjuvant docetaxel based chemotherapy for breast cancer. Eur J Surg Oncol, 30(10): 1069-76. Esserman L, Kaplan E, Partridge S et al. (2001) MRI phenotype is associated with response to doxorubicin and cyclophosphamide neoadjuvant chemotherapy in stage III breast cancer. Ann Surg Oncol, 8(6): 549-59. Fukuda T, Horii R, Gomi N et al. (2016) Accuracy of magnetic resonance imaging for predicting pathological complete response of breast cancer after neoadjuvant chemotherapy: association with breast cancer subtype. Springerplus, 5: 152. Gianni L, Pienkowski T, Im YH et al. (2016) 5-year analysis of neoadjuvant pertuzumab and trastuzumab in patients with locally advanced, inflammatory, or early-stage HER2-positive breast cancer (NeoSphere): a multicentre, open-label, phase 2 randomised trial. Lancet Oncol, 17(6): 791-800. Gralow JR, Burstein HJ, Wood W et al. (2008) Preoperative therapy in invasive breast cancer: pathologic assessment and systemic therapy issues in operable disease. J Clin Oncol, 26(5): 814-9. Gu G, Fuqua SA (2016) ESR1 mutations in breast cancer: proof-of-concept challenges clinical action. Clin Cancer Res, 22(5): 1034-6. Guarneri V, Frassoldati A, Bottini A et al. (2012) Preoperative chemotherapy plus trastuzumab, lapatinib, or both in human epidermal growth factor receptor 2 positive operable breast cancer: results of the randomized phase II CHER-LOB study. J Clin Oncol, 30(16): 1989–95. Hayashi Y, Takei H, Nozu S et al. (2013) Analysis of complete response by MRI following neoadjuvant chemotherapy predicts pathological tumor responses differently for molecular subtypes of breast cancer. Oncol Let, 5(1): 83-9. Hylton NM, Blume JD, Bernreuter WK et al. (2012) Locally advanced breast cancer: MR imaging for prediction of response to neoadjuvant chemotherapy--results from ACRIN 6657/I-SPY TRIAL. Radiology, 263(3): 663-72. Hylton NM, Gatsonis CA, Rosen MA et al. (2016) Neoadjuvant chemotherapy for breast cancer: functional tumor volume by MR imaging predicts recurrence-free survival-results from the ACRIN 6657/CALGB 150007 I-SPY 1 TRIAL. Radiology, 279(1): 44-55. Kennecke H, Yerushalmi R, Woods R et al. (2010) Metastatic behavior of breast cancer subtypes. J Clin Oncol, 28(20): 3271-7. Kuerer HM, Newman LA, Smith TL et al. (1999) Clinical course of breast cancer patients with complete pathologic primary tumor and axillary lymph node response to doxorubicin-based neoadjuvant chemotherapy. J Clin Oncol, 17(2): 460-9. Li SP, Makris A, Beresford MJ et al. (2011) Use of dynamic contrast-enhanced MR imaging to predict survival in patients with primary breast cancer undergoing neoadjuvant chemotherapy. Radiology, 260(1): 68-78. Loo CE, Rigter LS, Pengel KE et al. (2016) Survival is associated with complete response on MRI after neoadjuvant chemotherapy in ER-positive HER2-negative breast cancer. Breast Cancer Res, 18(1): 82. Loo CE, Straver ME, Rodenhuis S et al. (2011) Magnetic resonance imaging response monitoring of breast cancer during neoadjuvant chemotherapy: relevance of breast cancer subtype. J Clin Oncol, 29(6): 660-6. Marinovich ML, Houssami N, Macaskill P (2013a) Meta-analysis of magnetic resonance imaging in detecting residual breast cancer after neoadjuvant therapy. J Natl Cancer Inst, 105(5): 321-33. Marinovich ML, Macaskill P, Irwig L (2013b) Meta-analysis of agreement between MRI and pathologic breast tumour size after neoadjuvant chemotherapy. Br J Cancer, 109(6): 1528-36. Marinovich ML, Macaskill P, Irwig L et al. (2015) Agreement between MRI and pathologic breast tumor size after neoadjuvant chemotherapy, and comparison with alternative tests: individual patient data meta-analysis. BMC Cancer. 2015 Oct 8;15:662. doi: 10.1186/s12885-015-1664-4. Marinovich ML, Sardanelli F, Ciatto S et al. (2012) Early prediction of pathologic response to neoadjuvant therapy in breast cancer: systematic review of the accuracy of MRI. Breast, 21(5): 669-77. Mauri D, Pavlidis N, Ioannidis JPA (2005) Neoadjuvant versus adjuvant systemic treatment in breast cancer: a meta-analysis. J Natl Cancer Inst, 97(3): 188–94. Mittendorf EA, Buchholz TA, Tucker SL et al. (2013) Impact of chemotherapy sequencing on local-regional failure risk in breast cancer patients undergoing breast-conserving therapy. Ann Surg, 257(2): 173-9. Mukhtar RA, Yau C, Rosen M et al. (2013) Clinically meaningful tumor reduction rates vary by prechemotherapy MRI phenotype and tumor subtype in the I-SPY 1 TRIAL (CALGB 150007/150012; ACRIN 6657). Ann Surg Oncol, 20(12): 3823-30. Orel S (2008) Who should have breast magnetic resonance imaging evaluation? J Clin Oncol, 26(5): 703-11. Park JW, Liu MC, Yee D et al. (2016) Adaptive randomization of neratinib in early breast cancer. N Engl J Med, 375(1): 11-22. Partridge SC, Gibbs JE, Lu Y et al. (2005) MRI measurements of breast tumor volume predict response to neoadjuvant chemotherapy and recurrence-free survival. AJR Am J Roentgenol, 184(6): 1774-81. Penault-Llorca F, Radosevic-Robin N (Biomarkers of residual disease after neoadjuvant therapy for breast cancer. Nat Rev Clin Oncol, 13(8):487-503. Pickles MD, Manton DJ, Lowry M et al. (2009) Prognostic value of pre-treatment DCE-MRI parameters in predicting disease free and overall survival for breast cancer patients undergoing neoadjuvant chemotherapy. Eur J Radiol, 71(3): 498-505. Prat A, Cheang MC, Martín M et al. (2013) Prognostic significance of progesterone receptor-positive tumor cells within immunohistochemically defined luminal A breast cancer. J Clin Oncol, 31(2): 203-9. Provenzano E, Bossuyt V, Viale G et al. (2015) Standardization of pathologic evaluation and reporting of postneoadjuvant specimens in clinical trials of breast cancer: recommendations from an international working group. Mod Pathol, 28(9): 1185-201. Rastogi P, Anderson SJ, Bear HD et al. (2008) Preoperative chemotherapy: updates of National Surgical Adjuvant Breast and Bowel Project Protocols B-18 and B-27. J Clin Oncol, 26(5): 778-85. Rose BS, Winer EP, Mamon HJ (2016) Perils of the pathologic complete response. J Clin Oncol, pii: JCO681718. Straver ME, Rutgers EJ, Rodenhuis S et al. (2010) The relevance of breast cancer subtypes in the outcome of neoadjuvant chemotherapy. Ann Surg Oncol, 17(9): 2411-8. Symmans WF, Peintinger F, Hatzis C et al. (2007) Measurement of residual breast cancer burden to predict survival after neoadjuvant chemotherapy. J Clin Oncol, 25(28): 4414-22.
van der Hage JA, van de Velde CJ, Julien JP et al. (2001) Preoperative chemotherapy in primary operable breast cancer: results from the European Organization for Research and Treatment of Cancer trial 10902. J Clin Oncol, 19(22): 4224-37.
van der Noorda EM, Vrancken Peeters MJ, Loo C et al. (2016) Towards omitting breast cancer surgery in selective patient groups: Assessment of pathologic complete response after primary systemic treatment using multiple biopsies ‘The MICRA trial’. Eur J Surgical Oncology, 24(9): S136. von Minckwitz G, Blohmer JU, Costa SD et al. (2013) Response-guided neoadjuvant chemotherapy for breast cancer. J Clin Oncol, 31(29): 3623-30.
von Minckwitz G, Untch M, Blohmer JU et al. (2012) Definition and impact of pathologic complete response on prognosis after neoadjuvant chemotherapy in various intrinsic breast cancer subtypes. J Clin Oncol, 30(15): 1796-804. Vriens BE, de Vries B, Lobbes MB et al. (2016) Ultrasound is at least as good as magnetic resonance imaging in predicting tumour size post-neoadjuvant chemotherapy in breast cancer. Eur J Cancer, 52: 67-76. Wolmark N, Wang J, Mamounas E et al. (2001) Preoperative chemotherapy in patients with operable breast cancer: nine-year results from National Surgical Adjuvant Breast and Bowel Project B‑18. J Natl Cancer Inst Monogr (30): 96–102. Yu HJ, Chen JH, Mehta RS et al. (2007) MRI measurements of tumor size and pharmacokinetic parameters as early predictors of response in breast cancer patients undergoing neoadjuvant anthracycline chemotherapy. J Magn Reson Imaging, 26(3): 615-23. Oncologist, radiologist, pathologist,surgeon,Neoadjuvant Chemotherapy,Breast Cancer Oncologists, radiologists, pathologists and surgeons give some insight into neoadjuvant chemotherapy for breast cancer.